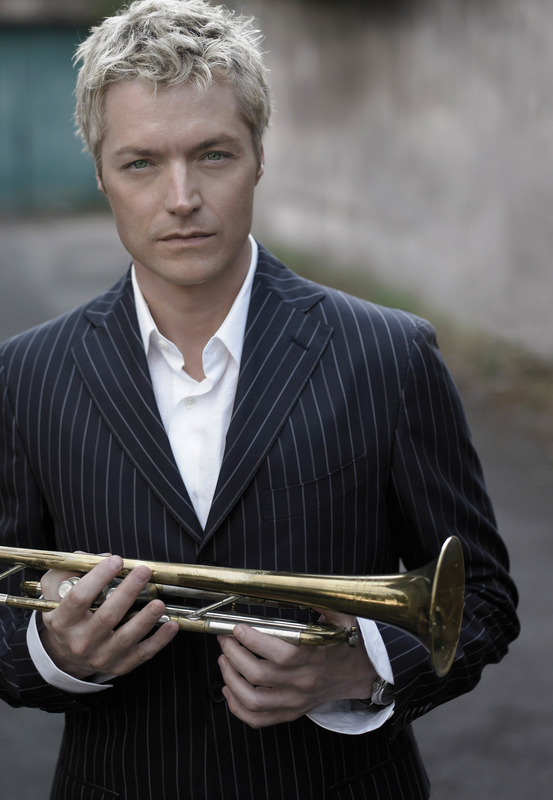 After recently wrapping up a six-week tour with legendary entertainer Barbara Streisand, Grammy-nominated trumpeter Chris Botti, the world’s best selling jazz instrumentalist, will be taking the stage at the Zeiterion Performing Arts Center this Sunday, Nov. 4th. For Botti, performing in the area is exciting. In 2009, he recorded a DVD, “Live in Boston,” which he thinks helped him generate New England fans. The set will include singer Lisa Fischer, who has been gigging with The Rolling Stones for the last two decades. Not only will the show incorporate jazz to the mix, it will feature other genres, as well. Botti plans to perform songs from his latest album, “Impressions,” which features an all-star list of artists, including Andrea Bocelli, Vince Gill, Herbie Hancock, David Foster, Caroline Campbell and Mark Knopfler. Having Knopfler, best known as the singer and guitarist of the rock band Dire Straits, appear on the album was a pleasant surprise, said Botti. Knopfler agreed to sing, “What a Wonderful World” for the album. He rarely sings songs written by other writers. Botti explained that his manager is a good friend of Knopfler, and as the two were taking a stroll in London’s Hyde Park one day, Knopfler suggested that Botti remake the classic tune. Knopfler was serious, and ended up teaming up with Botti to record the song. Botti said Knofpler’s unique voice makes the track work as well as it does. Having Hancock join him on the album was another treat. The two partnered musically in the past, as they once performed together at the White House for Presidents Obama, Clinton, Carter, plus the president of China, as well as their spouses. He and Hancock played “My Funny Valentine,” a hit that inspired Botti to learn trumpet. To be clear, Botti started playing trumpet when he was nine-years-old after seeing Carl Hilding “Doc” Severinse, the original trumpet player on The Tonight Show. But when he was 12 or 13, he heard Davis for the first time and connected with the instrument on a more emotional level. “I was always enamored with the sound and flavor of the dark, pretty sound Miles Davis made with his horn,” he said. As an attempt to sound as much like his hero as possible, Botti plays on the same make that Davis plays on – a Martin Committee large bore trumpet made in 1939. He also uses a No. 3 silver-plated mouthpiece from Bach, which was crafted in 1926. Another friendship Botti holds near and dear to his heart is with Sting, now a solo artist who became famous by fronting the band The Police. He credits Sting with helping him establish a career. Yet, Botti has made quite the name for himself in his own right. While his success came later in his life, he tours incessantly to keep fans interested. “They are what it’s all about,” he said. All too often, Botti said, he has witnessed artists reach the pinnacle of success and then lose it simply because they became disengaged. That’s not an option for him. To do that, he said, an artist must be willing to make sacrifices. It isn’t always easy, but it’s worth it. The Zeiterion Performing Arts Center’s box office is located at 684 Purchase Street, New Bedford, Mass. Box Office Hours: M-F 10 a.m. to 5 p.m., Sat 10 a.m. to 3 p.m. and one hour before each performance. For more information, visit www.zeiterion.org or call 508-994-2900.